Whether you’ve thought it or not, your church has an evaluation system. Every service is evaluated by every attendee. They talk about it afterwards in the lobby. They share their impressions between friends. If it’s really good, others hear about it. If it’s really bad, even more “others” hear about it. We can’t help ourselves; we are made in the image of a God who has evaluated everything he’s ever made. In Genesis 1, we find God giving himself a grade every day. We’re not supposed to judge the people around us, but we are supposed to evaluate the fruit we are producing. “I am the true vine, and my Father is the gardener. He cuts off every branch in me that bears no fruit, while every branch that does bear fruit he prunes so that it will be even more fruitful. A good farmer inspects his vines for fruit. Then he takes action to enable them to bear more fruit. There are two ways to measure the health of an organization. One is by quality; the other, by quantity. Quality measures tend to be subjective. They rely on taste, perception, anecdote and intuition. Quantity measures tend to be more objective. They rely on numbers. Numbers need to be interpreted, but they tell a story, and that story is usually very accurate. Healthy churches measure both ways. Healthy churches evaluate by both quality and quantity. Let’s look at quantitative data here. I’ll give you great questions to ask when doing qualitative evaluations here. When I go to my doctor, he measures things in numbers: my weight, blood pressure, heart rate, cholesterol, triglycerides, etc. These numbers tell him a lot about me. I can argue with the numbers, but they don’t lie. If my blood pressure is too high, that’s a sign of bad health. Likewise, we now know enough about what a healthy church looks like to be able to tell a lot about a church from its numbers. Here are eighteen indicators you may want to pay attention to. 1. Your Number of First Time Guests. To maintain your current size, you’ll need three first-time guests each week for every hundred regular attenders. To grow, you’ll need to average five first-time guests per week. What’s your number? 2. Your Percentage of Return Guests. The average church sees 6 to 10% of their first-time guests return for a second visit, 25% of their second-time guests return for a third visit, and 35% of their third-time guests become regular attenders. What are your numbers? 3. Percentage of Guests who Stick. Average churches see 6-10% of their first timers become regular attenders. Outstanding churches see as many as 30% become regulars. What’s your number? Note: these three numbers are indicators of the health of your Assimilation System. I’ve written about how to improve your assimilation system in Ebook #1: Keeping your Guests Coming Back. 4. Number of First Time Decisions for Christ. Only the Holy Spirit knows for sure whether a person who indicates a first time decision for Christ represents fruit that will remain. But charting this statistic is your most important measure of fruitfulness. Jesus said to go and make disciples, and a disciple starts with a decision to follow. How many adults, teens and children made that decision in your church last year? How many did your church help led to Christ outside your church (on missions trips and evangelistic ventures) last year? Compare this year’s number to prior year’s numbers and you’ll be able to see if you are becoming a more fruitful church. Baptism is a step of obedience as well as a public declaration of faith. A healthy ratio for your church is to baptize about one for every three who make a public profession. If you’d like help improving your Outreach System, I’ve written about it in Ebook #2: Attracting More Newcomers. 6. Number of Churches Planted. Healthy things reproduce, and they reproduce after their own kind. Dogs reproduce dogs, people reproduce people, and churches reproduce churches. Healthy churches intentionally participate in church planting. Sometimes they send out a group to plant. Other times they assist and partner with another church that’s sending out a group to plant. Healthy families usually give birth every two or three years. So do healthy churches. Aggressively healthy churches try to plant or support the planting of a new church every year. How many churches have you planted or partnered in planting in the last ten years? This is a measure of the maturity and generosity of your church, and the key indicator of how much ministry you will be able to do. 8. Total Number of Givers. It’s useful to compare this number to your total attendance. Tracking your ratio of givers to attenders year by year will objectify your church’s financial maturity. Your city and county websites will tell you the average per household income for your area. Or, you can use the baseline poverty level income if you like. The important thing is to make a baseline guess at what a tithe looks like for a member of your church. Is it $6,000 per year? $4,000 per year? $2,500 per year? Once you set that number (and it can be somewhat arbitrary), then you can measure your number of and percentage of tithing units and monitor them year by year. If the number or percentage is increasing, your church is maturing in generosity. If you percentage of tithers is decreasing, your either attracting a growing number of newcomers, or diminishing in generosity. Your per-capita giving will vary season-to season. At New Song, we see a decrease during the fall, when many newcomers begin checking us out. As these people commit to the fellowship and begin to grow, our per-capita giving rises. You may see an increase at Christmas, as salesmen receive their year-end bonuses. We see an increase during tax season, as our believers tithe on their tax returns. Generally, healthy churches spent a little over 50% of their budget on staffing, 10% on missions and church planting, 10% on local outreach, and 30% on operations and facilities. This varies, of course, with the age of the church and whether it’s got a mortgage or not. Your church’s budget will reflect its values, but it’s helpful to compare your budget breakdown to other healthy churches. If you’d like help with increasing the generosity of your church, I’ve written about it in Ebook #3: Developing Generous Givers. 12. Percentage of New Believers Being Discipled. I believe the most important twenty minutes in a person’s life are the first twenty minutes after they express faith in Christ. Just as the health of every newborn depends on attention from nurses and parents, the health of every baby believer depends on the attention of spiritual parents and disciplers. 13. Number of People Taking Spiritual Steps. If you’d like help with this kind of process, I’ve written about it in Ebook #4: Growing Spiritual People. Part of God’s will is that every believer serve according to their spiritual gifts (1 Peter 4:10). There’s a rule of thumb in church growth circles that says churches with 57% or more of their attenders actively volunteering in the church usually means that the church is growing. In 1906, an Italian economist named Vilfredo Pareto observed the 80% of the land in Italy was owned by 20% of the people. He went on to discover that this 80/20 principle was almost universal. It’s a good principle to know. 80% of just about everything in your church is done by 20% of the people. So one key to growing your church is to increase these “20%ers.” A church of 100 will have about 20 leaders. A church of 1,000 will have about 200 leaders. In order to grow, you’re going to need to increase the number of these 20%ers. For help with this system, go to Ebook #5: Placing and Keeping Great Volunteers. Evaluating your weekly worship services is mostly a subjective (qualitative) evaluation. I’ll give you some suggestions for that in my next post. But, monitoring your weekly attendance tells you a lot about how often your members are coming, how many guests are joining, and how many regulars are exiting. Because attendance varies by season, it’s prudent to compare this week’s attendance to this week last year’s attendance. We find it helpful to chart New Song’s attendance using a seven week moving average. We graph it on a year-by-year basis to compare peaks and valleys. What does your graph look like? For help with improving your worship services, I’ve written Ebook #6: Putting on and Pulling off Meaningful Worship Services. 17. Number of Small Groups. A rule of thumb is that you need one small group in your church for every ten weekend attenders. What is your ratio of groups to attendees? 18. Percentage of Adults in Small Groups. Healthy churches have at least 40-50% of their adult attendance in some form of Small Group. Great churches have upwards of 80% of their adults in Small Groups. The highest percentage I’ve heard of is Saddleback Church, which has 130% of their adult attendance in small groups. If your church has adult Sunday School classes with fewer than 25 members, or your classes break into Small Groups during Sunday School, those count as well. For help with this you might want to read Ebook #7: Becoming the Most Caring Church in Your City. At New Song, it took us years to create the systems that enable us to collect, monitor, and evaluate all of these bits of objective data. If you can’t get to them all this year, start with the ones that seem most important to you. A good tool to help you track all of these is churchmetrics. You can download a free copy of their software at https://churchmetrics.com/. What about when no one “responds” or only 1 person does? Is that not enough of an evaluation? Good questions Drake. Sorry I didn’t reply sooner. I’ve been traveling. You asked, “What if no one responds to the invitation, or if only 1 person responds?” I admit, when no one responds, I’m a little discouraged. What runs through my mind in those moments is, “Did I explain the benefits of the gospel clearly enough? Was my spirit attractive enough that these people were willing to trust me? Did I pray enough so that the Lord could use me?” and “Have I done enough to inspire and equip our congregation to be inviters?” I.e., I do an evaluation of MY part in the salvation equation. I don’t think I’ve ever concluded I did it all perfectly. But, if I’m white-hot and qualified for gospel ministry, and our people are white-hot as well, then I have to conclude that the Holy Spirit had other plans and that just proclaiming the way of salvation that day was honoring to Him. What if just one person responds? I always wish there were more, but yesterday I guest-preached at a large church where only one person gave their life to Christ. Only one. I am ecstatic even now, 24 hours later. A life was changed for eternity! This lady has passed from death to life! If 1 or 100 come to Christ, I rejoice. It’s an unspeakable blessing to be part of the drawing work of God! Your second question was about Isaiah’s promise that God’s word never returns void. That’s certainly true. The proclamation of God’s word always has benefits, some of them seen and some unseen. My prayer for those I mentor is that they will be blessed by God to SEE results, and used by God to accomplish as many results as possible for Him. Thanks for the article. I’m curious about what seems to be a contradiction in numbers 2 and 3. Both start out referring to 6-10% of first-time guests. However, number 2 suggests only a percentage of those return for a second visit and only a percentage of those return for a third. Number 3. asserts that the entire 6-10% become regular attenders. If not all the 6-10% are returning for 2nd and 3rd visits in number 2, how are they becoming regular attenders in number 3? Math in number 2 would suggest that only 1 guest out of 100 become regular attenders. Hey!! Great article. A few questions. How do you calculate return rate? I’m trying to create a report of church metrics.com that shows what our return rate is over 8 weeks. As well, connection rate from second time guests. Any formulas would be most helpful. thanks!! Way to go! Church metrics is a great tool! The way you calculate your visitor return rate is by tracking your # of first time guests and coming it with their return. An 8 week period is a good one. Anyone who returns after a longer interval than that is probably coming as a visitor who is either from out of town, or just visits when someone special to them cajoles them to come. So, if you have 10 visitors over an 8 week period, and one of them returns 1 divided by 10 = 1/10th, or a 10% return rate. Hi! We were going over these numbers in a staff meeting and (ironically) #9 is missing! What was it? We all want to know now! Thanks for the article. Good catch! This post has been up for over a year, and you’re the first one to notice the omission (including me :-)). I had to search the ebook this blog came from. The answer is…. 9 = Total tithers. Here’s the excerpt from the ebook: “Determining what 10% of a person’s income is can be tricky. Some churches define a tithe as 10% of the average household income in their community. You can find this statistic on your city or country’s website. Others simplify it by defining a tithe as 10% of the poverty level income in your area. 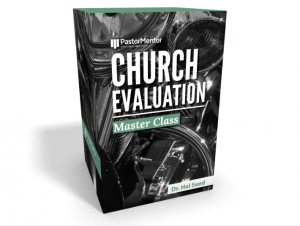 Measuring and monitoring your percentage of tithers is a strong indication of whether your congregation is maturing in the grace of giving.” (You can download the ebook here: https://www.pastormentor.com/healthy-church-systems-ebooks-2/ebook-8-evaluating-church-make-better/ if you’d like. Thank you for the article! I was wondering how you define leadership in #15? Are you including all small group leaders, ushers, greeters, Sunday School Teachers, worship band, etc.? I define a leader as someone who is intentionally caring for others, so yes, that would include anyone leading a Small Group or Serving Team in your church. I know this post is over a year old, but hopefully you’ll catch this and respond! When figuring the percentage of adult attendees engaged in some small group activity, should you be using unique attendance or total? For example: If Billy attends weekly Sunday School, a quarterly Men’s Breakfast, and monthly Home Group, does this count as 1 person or as 3? If the latter, does it make more sense to count each person as a weighted average? Attending each of these over a 13 week period would amount to 17, or ~1.3 weighted. Let me say a couple of things. One is, churches are built on relationships. So what you’re really tracking is a percentage of “connectivity” or “how much a person feels like they have friends they stay in contact with” in the church. Showing up to something monthly or quarterly doesn’t make someone feel connected. You want to count people enrolled in relationships, which means a weekly S.S. class or small group. On a sidenote, years ago we tried every-other-week Small Groups. Those didn’t help people feel connected because if you missed one, that meant you only saw those people once that month. Friends stay in closer touch than that. The second thing I’d like to say is that it’s possible to spend too much time and energy counting. Trying to sort out how many people are in multiple groups isn’t worth your time – spend it making or deepening relationships rather than micro-tracking relationships. If you’ve got a healthy percentage of people involved in weekly groups, classes, or teams, don’t sweat the overlap. Those “superconnected” people will help you connect others to the core family of the church. I’m thinking you meant “#9 is missing.” If so, here’s the response I gave to someone else who noticed the same thing: I had to search the ebook this blog came from. The answer is…. 9 = Total tithers. Here’s the excerpt from the ebook: “Determining what 10% of a person’s income is can be tricky. Some churches define a tithe as 10% of the average household income in their community. You can find this statistic on your city or country’s website. Others simplify it by defining a tithe as 10% of the poverty level income in your area. Measuring and monitoring your percentage of tithers is a strong indication of whether your congregation is maturing in the grace of giving.” (You can download the ebook here: https://www.pastormentor.com/healthy-church-systems-ebooks-2/ebook-8-evaluating-church-make-better/ if you’d like. I remember wondering about that stat myself, even as I wrote it into the article. This may be an instant where fog in the study (mine) leads to mist in the pulpit (or in this case, mist in the article.) I am a consumer of the research data, rather than a researcher myself, but as I’ve followed the studies for the past 30 years, the rule of thumb for first time guest returns is that non-growing churches see a 0-5% stick rate over 6 months, growing churches see a 6-10% stick rate, and the few exceptional churches see higher than 10%. I’m not exactly sure how many first time guests become second time guests. (I wish I was.) The average return rate after the second visit is 25%, and 35% after the third visit, so the correct way to determine how many first timers return might be to do some reverse math using these later two statistics to get an average first time return rate. I apologize for my lack of clarity in the article, and admit my lack of a great answer for you. Thank you for asking the question though! If you’d like to do the math and report back in, I’d love to see what the real number might be!